Got a crock pot you’re not using? 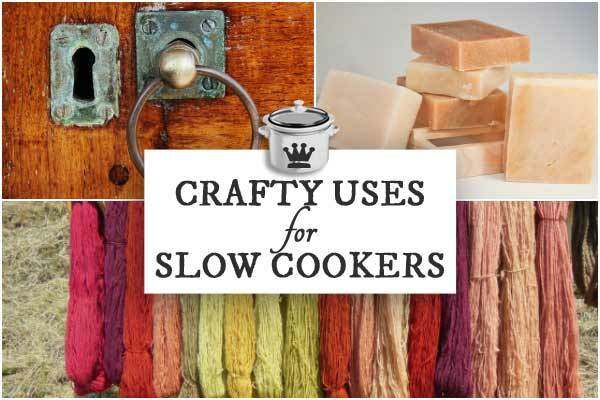 Have a look at these non-food DIY ideas for slow cookers including a smart gardening tip, home improvement ideas, and beauty and craft projects. This is all part of the catalogue of creative ideas here at Empress of Dirt. If you spend time browsing recipes online, you have probably heard of the Instant Pot, which is a multi-function food cooker (pressure cooker, slow cooker, rice cooker, yogurt maker, steamer, warmer, and more). This got me thinking about all the slow cookers out there that are now unemployed. I’ve seen so many diehard slow cooker (crock pot) users say they have made the switch because of the possibilities with Instant Pot. A slow cooker is basically a warming unit with a ceramic bowl insert, with low, medium, and high settings. The ‘smart’ ones allow us to program additional settings including times and temperature changes. Some also work with phone apps. Even the most basic models (the older ones are usually white with ceramic bowls inside, 3 settings, no electronics, no timer) can work nicely for any craft or DIY project that requires some stove top or microwave oven heating, or simple use of a double boiler. Some of us are never comfortable to heat dyes or craft materials in a food preparation area so a portable crock pot may be the solution. Keep in mind that once you dedicate your slow cooker to crafts, that’s it: no more food prep in there. Safety first, my loves. Keep food prep safe and separate. Some of the projects (listed below) may also stain the crock, which is no big deal if you are riding the crafty wave of life as one should, but do keep this in mind. Also, understand that whenever you use an appliance in an unconventional way, you are voiding the warranty, if there is one. If you do not have a slow cooker, try yard sales and thrift shops. Or ask a friend who has Instant Pot-mania if they want to hand off their old crock pot. One final note before we hop in: as with all projects on this site, this is for information only and at your own risk. There are just too many possible variables to even begin to give specific advice. 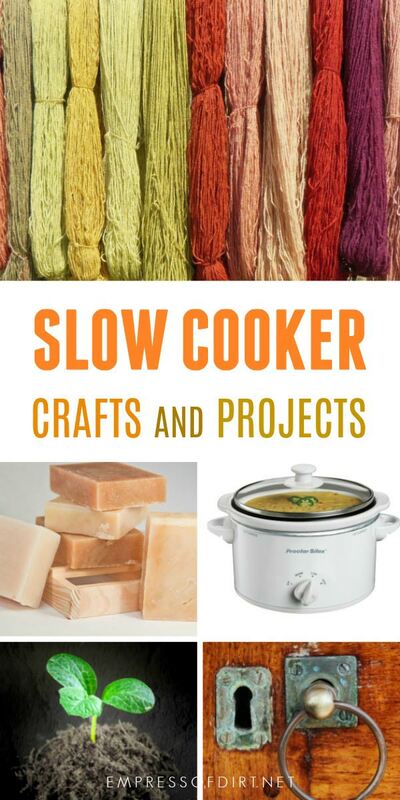 Personally, I have a slow cooker dedicated to crafting, and love the flexibility to work outside my kitchen for crafts that require heat. To be cautious, I never leave it unattended while in use. Prepare seed bags by placing seeds on damp paper towel (not too dry or wet) and enclosing the whole thing in a Ziploc bag. Remove crock insert from slow cooker. Set slow cooker to warm. Place a baking sheet on top. Add a towel or dish cloth. Sit seed bags on top. Make sure paper towels do not dry out. 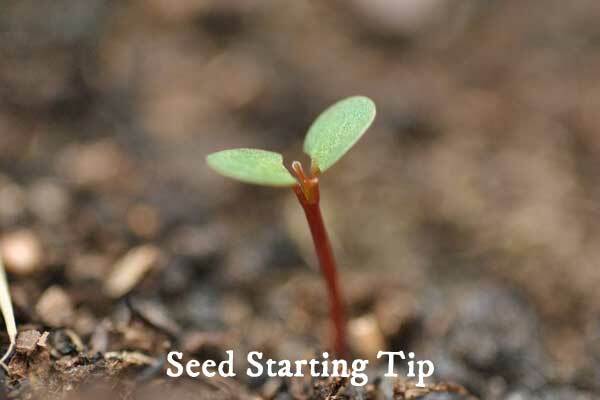 Some slow-to-germinate seeds will sprout in just 24 hours. Alternate idea suggested in the video: a portable electric frying pan could also be used. 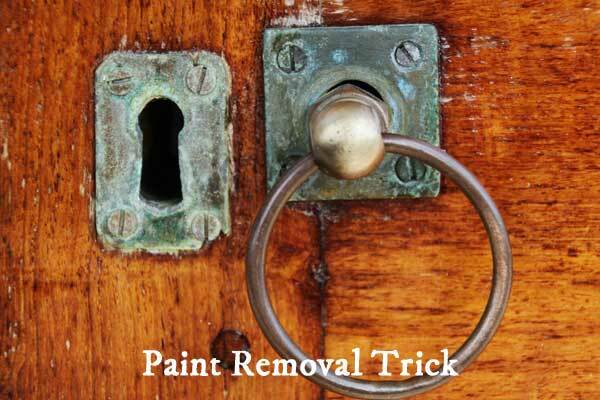 This method is intended for old pieces of hardware including drawer pulls and knobs. I have not tried it on many items but others say it works on spray paint, acrylic, and oil paint. Lacquers may not come off. Choose non-rusting metals like copper, brass, and aluminum unless you are okay with possible rusting. Door locks and other items with moving parts could be damaged in the process as they will be submerged in water and could rust. Dispose the old paint carefully taking proper precautions if it could be lead-based. Fill slow cooker crock with water. Place on high for a few hours. Takes 5-7 hours for paint to soften. Handle with tongs (hardware is very hot) and test to see if paint is peeling off. If ready, remove from slow cooker. Use soft toothbrush to push paint off. Many homemade beauty lotions and balms are made by melting ingredients so they can be combined, and then placing them in some sort of mold or container where they cool and harden. Here’s some ideas that work in a slow cooker instead of using a stove top or microwave oven. Measure ingredients and place in slow cooker. Turn on high for 1 hour. Add drops of essential oil and stir. Pour into mold and allow to cool and dry. Many soap makers use a cooking pot on a stove top to mix their soaps, and the slow cooker can do the same thing (providing even heat during the mixing process). Soap recipes vary but the mixing temperature for soap ingredients is generally between 100-120F (37-48C). Soapmaking from scratch requires the use of lye (sodium hydroxide), a primary ingredient required for true soap, and use requires careful safety procautions. I don’t use the slow cooker, but instead use my stove top. 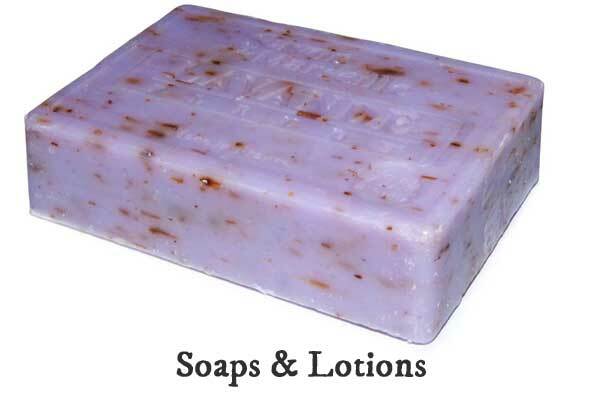 You can see my favourite recipe for soothing soap for dry skin here. Other beauty products you can make in a slow cooker include lip balm and sunscreen. Some dyeing methods require a certain temperature range for best results. In this video, you will see pure wool yarn transformed using basic acid dyes and vinegar. It is a very easy way to create unique yarn for sock knitting and other projects. 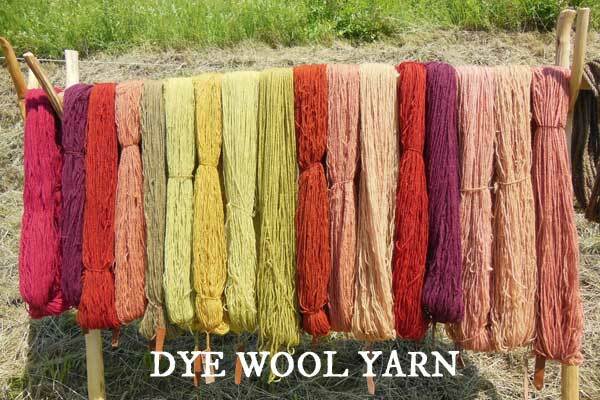 Keep in mind that just like popular fabric dyes only work on fabrics made from natural materials like cotton, silk, or linen, many yarn designs can only bond with pure wools, not synthetic yarns. In the video (above), the beeswax from the hives is placed in a straining bag and heated in the slow cooker. The handy tip in this video is the use of the stringed bag, much like a piece of cheesecloth but with better control, gathering all the dirt and debris in the wax. You can get bags like this made of cheesecloth or muslin or other materials here on Amazon. Bees bring home a lot of stuff along with the nectar and pollen! If you do not keep bees, you can buy ‘dirty’ beeswax at a reduced price and clean it yourself. 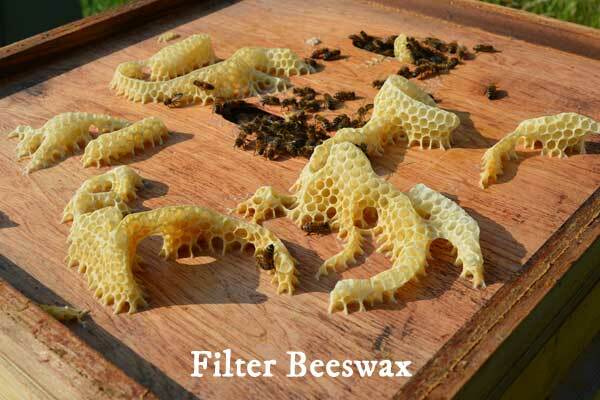 This post shares 15 Creative Projects Using Beeswax. Never leave your slow cooker unattended when trying unconventional ideas like these ones. Have you ever used warm hand towels in a restaurant after a nice meal? It’s very refreshing! Dampen hand towels (not too much), roll up, and place in slow cooker on warm setting. Monitor the temperature and place on a plate with tongs when ready. Test to make sure the temperature is just right. Awwwww. Very nice. Fill slow cooker half way with water and turn on heat. Keep lid off to allow water to evaporate. Do not allow the slow cooker to run dry. Place favorite ingredients (e.g. orange slices, cinnamon, nutmeg, or lavender oil) in water and run slow cooker on low heat. I hope you have found some projects to try. Maybe you have an old crock pot sitting in your closet just waiting for a new life. 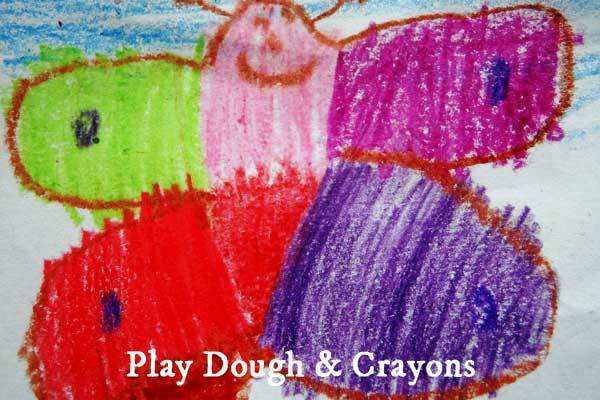 PS: Be sure to sign up for the free newsletter for creative ideas by email. I totally enjoyed your website! I am retired, kinda bored, and caregiver to my partner of 32 years. So I was thinking about going back to my crafty self of decades ago. I used to make miniature furniture and puzzles and so on. I had to get into reality and I have rebuilt 3 of the walls in the garage, built a ramp into the house and so on. SO anyway. What brought me here was the part about tranfering images, I veered off and read everything but not anything garden. It’s too big a tease on Dec first. I live in Maine. Thank you for your website it is inspiring and delightful! oh PHOOEY I gave my crockpot to the give away freebie room at the local dump! Wow, wonderful ideas. Now for some of my own ideas. May set one in a garden room and fill with water and an EO to make my own aroma area. Sitting of an evening and reading or listening to music with the added rose petals or rose EO’s for joy, could add so much. 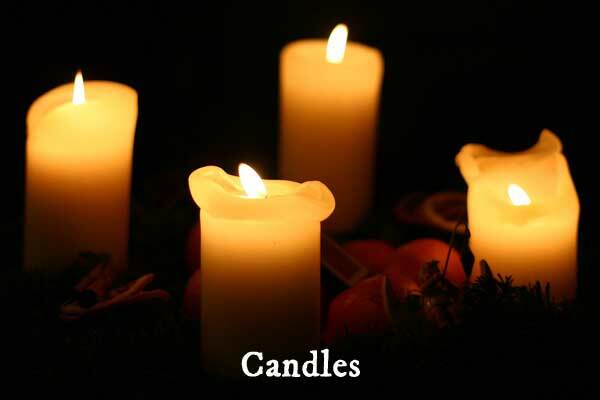 Or a fall garden room aroma of cinnamon sticks. You are so smart to come up with all your ideas and i am very glad i found you. Thanks so much love these slow cooker ideas, have a great day. As a Gardner myself I was feeling your pain about those seeds. And what you came up with was crazy good. I’m going to keep this in mind on the hard seeds that take awile . Ty Ty Ty . I just love this site . You guys just keep coming up with neat ideas . Can’t keep to myself so I share to all my friends so they can enjoy and join. Happy days.